Mali Mish - Day 200: The Living Desert Museum and Organ Stop Pizza. 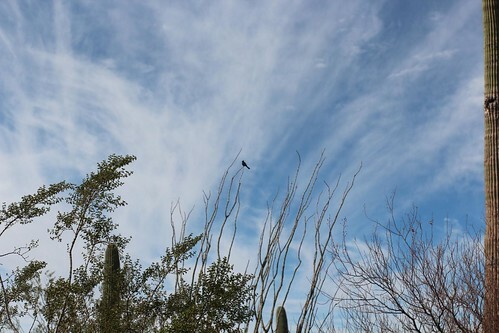 This little bird greeted us good morning at Gilbert Ray as we were getting ready to head out. There is suppose to be a storm coming into Tucson so we decided moving on was the best course of action. 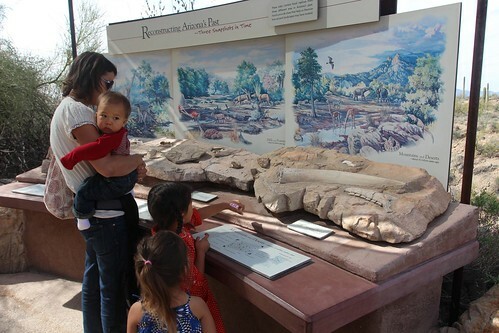 The nice thing about being at Gilbert Ray is that it is next to one of our favorite places to take the kids in Tucson: The Living Desert Museum. The girls have been a number of times but this is Luka’s first. 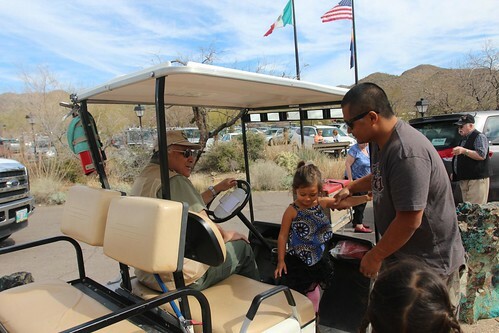 We parked the Mish in the RV area and a nice museum host gave us a ride in his golf cart. 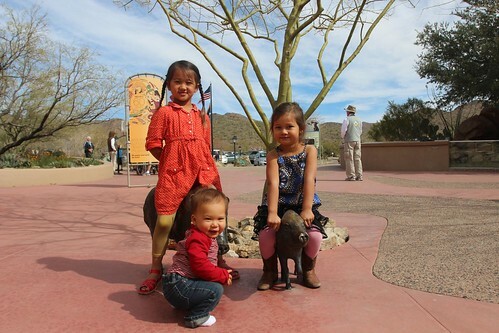 The girls always look forward to sitting on the bronze javelinas when we come here. 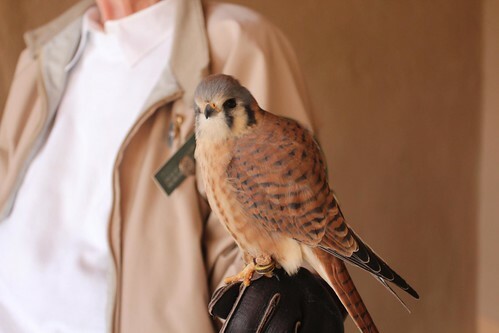 To just show some highlights of our visit, this is a beautiful, non-releasable American Kestrel. 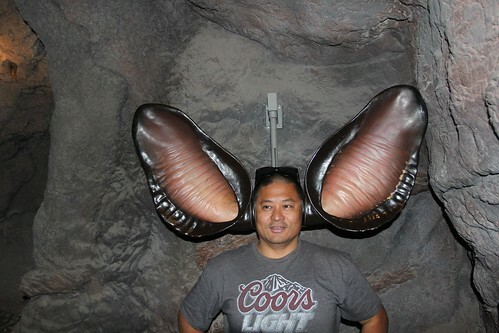 I grew some bat years from hanging out in their pretend cave. The girls doing some hands-on learning with archaeology and fossils. Of course there has to be a healthy dose of ice cream sprinkled in there. The sugar from the ice cream made Ava a little crazy. Marlene’s favorite exhibit here is the hummingbird aviary. Dozens of hummingbirds are in this area constantly buzzing around. 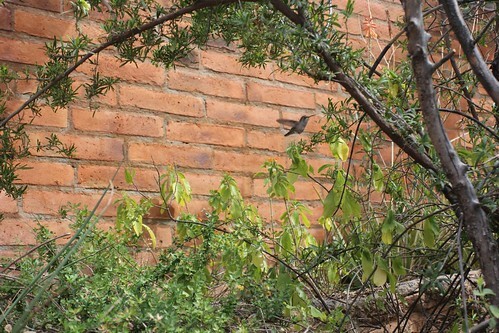 If you know anything about hummingbirds, you might know that they are extremely territorial. Having all of them in this small space probably exacerbates that a little bit. 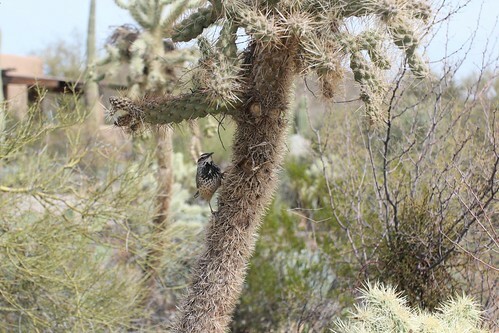 The bird-nerding continued when we left as she snapped a photo of this Cactus Wren in the wild as we were wrapping up our visit there. As we left the Living Desert Museum, we began our drive towards Phoenix. 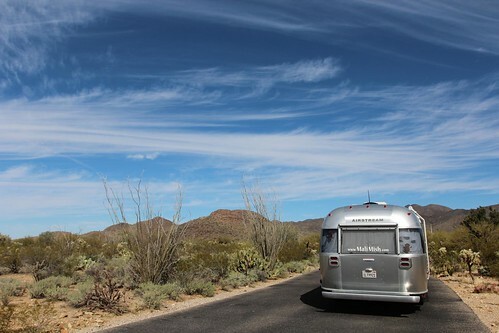 Our plan of sticking around longer in Arizona to do some boondocking is not really working out as planned. 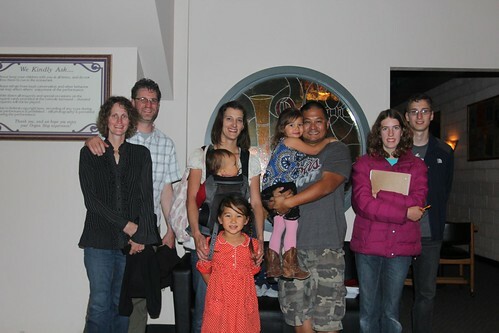 We did however arrange another meet up with a traveling family who we have been virtual friends with for a long time. Last time we were this close to the Boyinks family was 5 months ago when they had just left their home state of Michigan. They were in Madison, WI visiting some friends while we were traversing south through Sheboygan. We decided to meet at one of our favorite places for pizza in the greater Phoenix area: Organ Stop Pizza. Organ Stop Pizza does not look that special from the outside but the second you step in, you realize that the entire building is built around a massive organ. 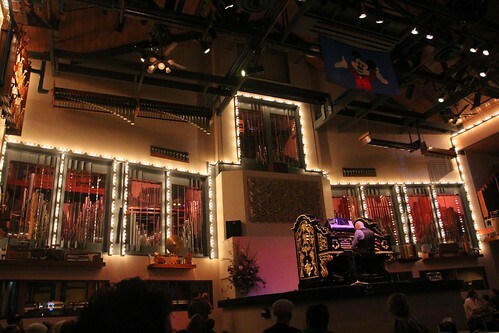 Each night, multiple sets are performed by some of the most amazing organists we have ever had the pleasure of seeing. 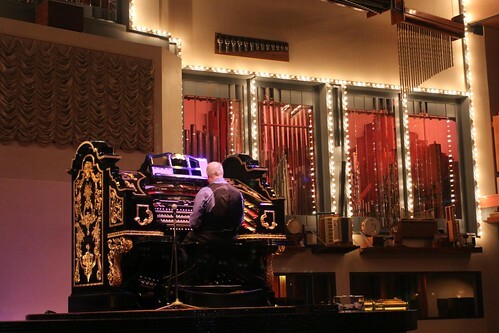 From this Wurlitzer that rises up from beneath the stage, our organist played everything from Disney movie theme songs to classical arrangements. 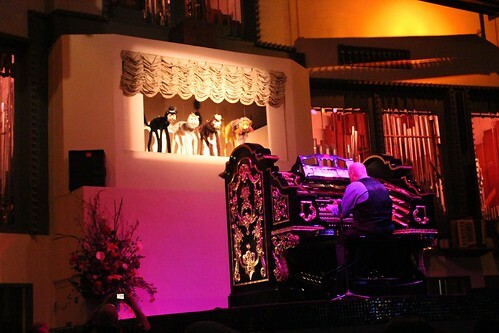 The girls’ favorite part is when the curtain rises in from of the Wurlitzer and dancing cat puppets appear to dance in sync with the music. 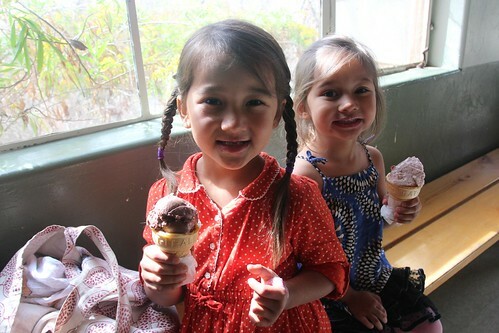 We had a great and memorable dinner with the Boyinks as we headed back out on the road towards California. Tonight, we will stop just short of the California border to spend a night at Ehrenberg, Arizona. One Response to Day 200: The Living Desert Museum and Organ Stop Pizza.